The House Transportation and Infrastructure Committee just spent two days listening to 40 experts from different aspects of the transportation sector and advocacy community, from engineers to environmentalists to the Tea Party. Each person had just four minutes to speak and they crammed as much as they could into their time: observations, demands, recommendations for a better transportation bill. Their ideas were widely divergent on many points, but on one, they found unity: This should not be a smaller bill than the one that came before it. 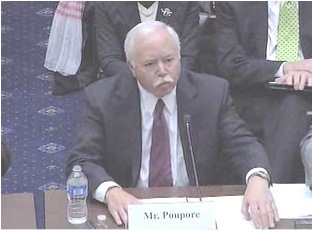 Raymond Poupore of the National Construction Alliance II asked for robust investment in infrastructure. The specter of a new reauthorization that starves the transportation sector for the next six years has become a very real possibility, as the fact sinks in that Congress is not willing to overspend the Highway Trust Fund, and neither Congress nor the White House is willing to get behind any new revenues for the fund. Here are just a few of their pleas for a renewed commitment to a viable funding source for transportation. ASCE remains concerned with the increasing and continued deterioration of the nation’s infrastructure. In our 2009 report card, the nation’s roads received a grade of D-, bridges a C and transit a grade of D. A multiyear surface transportation bill with increased funding levels is necessary to address this documented gap. Congress should focus on shoring up the trust fund to meet the nation’s surface transportation deficiencies and revive the ailing construction economy… For Congress to enact a reauthorization that falls short of our demonstrated transportation needs would, in our judgment, lead to weaker economic recovery, persistent high unemployment in the construction sector, unstable Highway Trust Fund, more dangerous bridges and highways, and American economic vulnerability in the face of unrelenting global competition. Yet as you well know, the revenue question remains. That is most politically challenging issue facing reauthorization. When Eisenhower signed the first highway bill in 1956, the user fee was three cents a gallon and a first-class postage stamp was exactly the same amount. Today the user fee stands at 18.4 cents per gallon, which is about six times the rate of 1956. On the other hand, a first-class stamp costs 44 cents, which is roughly 14 times the amount it was in 1956. It is critical that we continue to invest in our nation’s infrastructure in order to maintain the integrity of what we have as well as to improve in areas of need. Begin the transition to mileage-based user fees. As we come to rely more and more on renewable energy and less and less on petroleum-based fuels, we must develop a transportation funding mechanism that matches our usage patterns. We looked at every mechanism that could fund the national transportation program that anyone suggested to us, and we unanimously arrived at the conclusion that the best mechanism in the long run is mileage based user fees. They are more effective than most of the alternatives, more economically sustainable than most of the alternatives, and at least as fair as any of the alternatives. Another silly suggestion from the “Reason” foundation. It fully disregards the capital costs of implementation of mileage based user fees as well as – for toll booths – the abject waste of fuel and increase is pollution as cars stop and idle while waiting to pay.